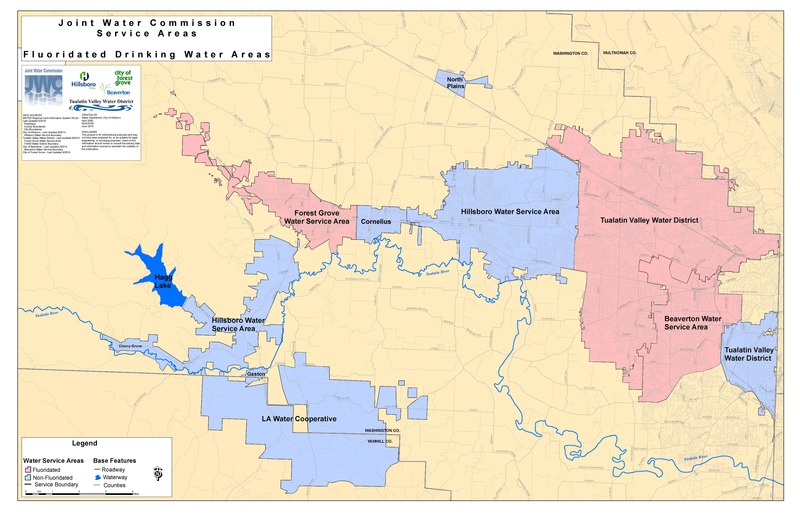 The map below shows which Joint Water Commission (JWC) service areas are fluoridated and which are not. Fluoridated areas are not solely defined by city boundaries, so please use the map and zooming tool to see if your water provider fluoridates the water in your neighborhood. If you have further questions regarding fluoridation and the JWC, please contact either the JWC or your local water provider for more information. Copyright ©2015 Joint Water Commission. All rights reserved.